DUBAI (Reuters): Gulf Arab economies will grow at a slower pace than previously forecast, a quarterly Reuters poll of economists found, as oil output cuts, lower crude prices and weaker global growth put pressure on regional economies. Gross domestic product in Saudi Arabia, the largest Gulf Arab economy and the world’s largest oil exporter, will grow 2.1% in 2019 and 2.2% in 2020, the poll of 22 economists projected. 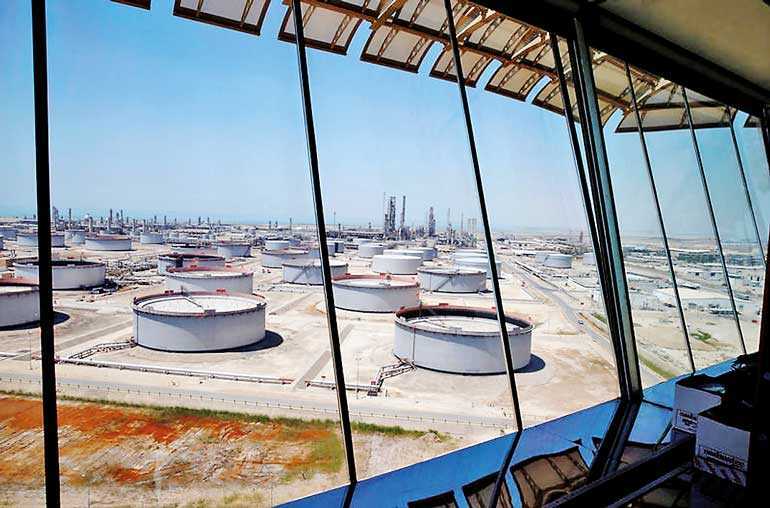 Three months ago, the forecasts were for growth of 2.5% in 2019 and 3.0% in 2020.\The benchmark price for Brent crude oil LCOc1 averaged around $71.6 per barrel last year. So far this year, it has only averaged around $60 per barrel, and economists are predicting prices below $70 a barrel in 2019, based on lower demand growth and oversupply concerns. Supply cuts led by the Organization of the Petroleum Exporting Countries and some non-OPEC allies, including Russia, are likely to support oil prices to an extent, but they will weigh on GDP growth, economists said. The International Monetary Fund on Monday cut its forecasts for world economic growth in 2019 and 2020 for the second time in three months. The IMF predicted the global economy to grow 3.5% in 2019 and 3.6% in 2020. “Basically, we are a little less optimistic than we were six to nine months ago,” said Khatija Haque, Emirates NBD head of MENA Research, citing the lower oil price expectations, oil output cuts and a gloomier global growth outlook. Riyadh plans to increase spending by 7% this year to an all-time high in an effort to boost non-oil growth. The latest poll raises the median forecast for Saudi’s fiscal deficit this year to 5.6% of GDP from 4%, and to 5.9% from 2.8% for 2020. Saudi has pledged to eliminate the state deficit by 2023. Those polled also pushed back to 2020 their expectation of when the United Arab Emirates will return to fiscal surplus for the first time since it started running a deficit in 2015. Last quarter’s poll had forecast a surplus for 2018. The latest poll continues to predict sizeable budget and current account deficits for the two weakest GCC economies, Bahrain and Oman.